Last week, we saw a record Share With Me with 93 link ups. The most by far I have ever had and it’s down to all you amazing supporters and writers so thank you ever so much for coming back week after week to share your stories. I enjoyed reading them all so very much. It’s a great place to read such a variety of blogs all in one place. 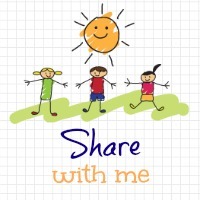 If you are new here, you can find out more about Share With Me Blog Hop here. For a quick overview, please share up to two posts, old or new. Include the SWM badge or a link back to here so everyone knows where you are partying. Tweet me your url to your post and I will retweet. Don’t forget to share the love and comment on your HOST’s post and a few others. Blog hops only work if you share the love as well as share your posts. My favorite last week was hard to choose, but the amazing Mummy Says – The Mothers They Need. Kiran writes so beautifully and with such honesty I truly love following her blog. Check out other great reads of the past here on the SWM Favorites board below. Follow Let’s Talk Mommy’s board Favorite Share With Me Blog Posts on Pinterest. Thanks Michelle for linking up and all the blog support. Thank you Aby. Look forward to reading them all tonight. Thank you so much for hosting, it’s lovely to link up! Thank you for joining in. Lovely to see you here. I hope you enjoy and I look forward to reading your post. Oh sounds great! What a great new feature. Look forward to it. Oh thank you ever so much. My board of glory? hahahaha You are too funny. So I am new to this and I am beginning to wonder if I am doing it right! I am on the list and I have visited and commented on a number of the blogs and have yet to have one visitor to mine. Any advice? Thanks for hosting! I am hosting another on http://www.sosomom.com/blog.html if I did that right! Anyway, this is just a shameless plea from a newbie. Any help from anyone would be greatly appreciated! Blog hops are good and bad like that. People come to read various blogs all in one place. I comment on every single one by the next week’s blog hop so I haven’t got to yours I will I promise. There are so many it takes me the whole week to get to them usually. Others should pop over and visit sometimes on a blog hop if you are late to the party less people come back. So best thing to do as I found on other blog hops is linking up as soon as you can Wednesday mornings if you are just looking for comments. Alot of people read without commenting I have found.